Wah-wah pedals are a must have in any music lover’s instrument collection. This device produces a “wah-wah” sound when used, and that is where it gets its name. It is employed in many devices, but there is one device that fits with it like no other, the guitar. The combination of the two is usually glorious. These sorts of combinations attract an enormous amount of attention, and hence the demand for them grows as well. Here we have a list of 10 reasonably priced but amazing quality wah-wah pedals which would make any music geek glow with excitement. Take a look and decide which one suits you best. The Xotic Effects Wah XW-1 takes inspiration from the legend, Clyde McCoy. It is slightly expensive than its other counterparts, but the fact that it can reproduce classic sounds flawlessly makes up for the price. The pedal tension is fully adjustable, and this pedal also has a self-lubricating nylon bushing pivot which helps in the smooth functioning of the device. It has a smaller footprint than is conventionally acceptable. This pedal also has a fuzz friendly buffering circuit which helps in creating a satisfying wah sound and a gain boost knob which helps improve the entire performance. One of the biggest attractions of this pedal is that it sounds like no other and is incredibly versatile. Size could be problematic for some, but the mind-boggling sound effects and the thrill of the experience will surely cover up for it. The MXR MC404 CAE Dual Inductor is a result of the collaboration between MXR and Jim Dunlop. The highlight of this pedal is its two separate Fasel inductors that help in producing different types of breath-taking tones. The first inductor helps in creating dark, warm and soothing wah sounds. The second inductor provides the classic wah sound which does not go as low as the first one, but the high-end signals can be dealt. These inductors come with a switch on the side which allows you to select the required inductor according to your will. A LED light is also inserted as a bonus to show which one of the conductors are in use. The sound performance of this pedal is unparalleled and a work of art. Musicians of any genre would be thrilled with this product as it provides a lot of variety and is versatile in nature. This pedal is considered to be one of the best finds of the music industry as it has the most accomplished pedal possible and is highly adaptable and bends to the desires of the musician and helps to make their uniqueness shine throughout the performance. Clyde McCoy is the source of inspiration behind this beauty. 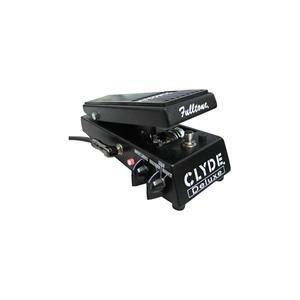 The Fulltone Clyde Deluxe has the widest pedal sweep, true bypass switching and three settings. The first setting out of the three settings is “Jump” which helps in recreating the 1960 Vox Voodoo Chile wah tone. It adds a nostalgic touch to the pedal. The second setting is what we call the “Shaft” which is the rock lover’s paradise. It helps in dialing up bad and funky grooves. The third setting is called “Wacked”, and it produces more bright and vibrant treble punchy wah tones. We also have a buffer to ensure that all the settings blend smoothly with the fuzz pedals. 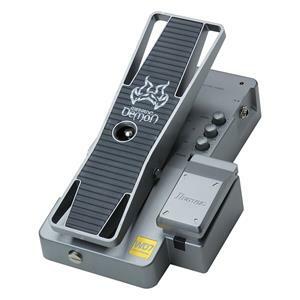 The pedal has an adjustable treadle which will assist you in the customized resistance of your foot. Along with that we also have an adjustable trimmer to keep track of the gain and boost when the wah switches on. It is of great significance that one keeps practicing and learning about the adjustments that are necessary for using this instrument to its fullest extent and also to maximize its capabilities. With the right sort of handling and changes, this device will shine in all its glory and mesmerize anyone within the hearing range. This pedal works best at a high volume to reach to its maximum level. It is then that it shows us what it is made of when with its every movement our heart starts moving to its nice engaging rhythm. 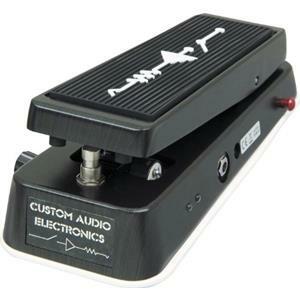 This pedal allows you to fine tune your wah sound and customizes it to make it your own. The Dunlop 535Q Cry Baby Multi-Wah consists of six range selector controls from six different frequency ranges. Every single range selector is positioned according to their unique tonal characteristics. They also have an immensely valuable Q Control which helps this pedal to effortlessly switch from narrow to sharp, broad to subtle boosts. The control adds a huge deal of versatility to the pedal and makes it far more superior than its predecessors. The quality and durability of this pedal cannot be doubted, and anyone would be lucky to have this pedal in their collection. 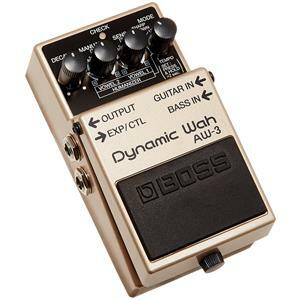 The Boss AW-3 Dynamic is responsible for bringing about a revolution in the history of wah-wah pedals. It does not have a standard control panel operated on foot, but it just has an on and off mode of operation. A large number of sonic tweaks are available to help in the alteration of the sound output of the pedal. A surprising array of controls is seen in a Boss company pedal, but there is no reason to be intimidated by them as they are all very user-friendly and easy to comprehend and use. It has two input points- one for guitar and one for bass. They are conveniently positioned to benefit the user of the pedal. We also have an output jack and an expression pedal which help in enhancing the overall beauty of the instrument. The structure of the pedal is firm and sturdy on the outside and secure and reliable on the inside. One might have a bit of a problem operating the controls, but once you get the hang of it, the pedal becomes easy to work. The first control starting from the top left-hand corner of the device is called “Decay”, and it helps in speeding up the pedal according to one’s desires. You can decide how strong or weak the effect on your audio signal should be with the support of this button. The second button is called “Manual+Sense” which, as the name suggests, plays the part of processing the device and the sounds produced therein to make it look like it was generated by a human being. 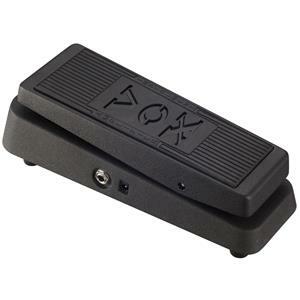 The third switch called “mode” allows you to simulate the various ways in which a wah pedal can be utilized. In other words, it is the button which controls the variability of sounds which can be produced by the instrument. The last big button is for tap tempo. This pedal is unique in every aspect and makes this cool experiment. It freshens up the mind of the user and opens it up to a whole new set of possibilities. A lot of people would not be comfortable with the concept of this pedal, but if they give it a single try, they will realize that it is not that different from other Orthodox pedals of its time. The Ibanez WD7 Weeping Demon has an immense amount of features and controls which is unlikely to be found in any other pedal of its time. It has a highly well-versed and sophisticated design and functionality. 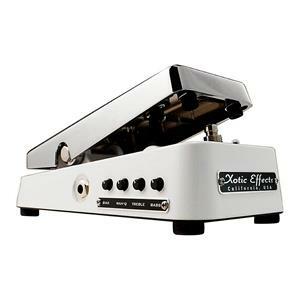 The main highlight of this pedal is that it uses the “electro-optical” technology instead of the potentiometers or inductors used in other wah wah pedals. This pedal is ahead of its time and produces rich and harmonically pleasing tones which are soothing to the ears. It has the ability to adapt to your preferred genre of music and gives you the option of navigating through other new genres. The control that this pedal has the sound quality is immensely superior compared to other pedals. The other thing that makes it more attractive is that it comes at an extremely reasonable price and also brings along with it bountiful versatility and beauty. It is everything a musician dreams for in a wah-wah pedal. 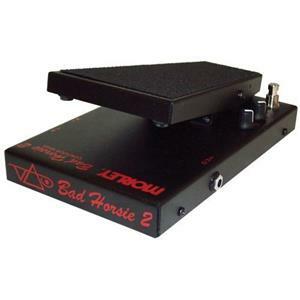 The Morley VAI-2 Steve Vai Bad Horsie 2 Contour is unique in every aspect such as its design, tone, ease of use, durability. The price range of this pedal is also affordable. It is perfect for today’s musicians who find their salvation in the classics. It is switchless therefore it is extremely convenient for use. The pedal also has a clear tone buffer circuit for pure guitar tone. Its unique design makes it look sleek and elegant, and its solid metal construction makes it strong and durable on the outside. It consists of two control knobs and a single button switch. It is what one could call an aggressive pedal as it was specifically designed for rockers. It provides extra sonic edge and can also be used for clean playing as well as strong volume. However, its real beauty lies in the rock genre where it can be pushed to utilize the maximum of its capacities. 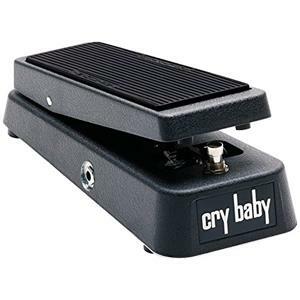 The Dunlop GCB95 Cry Baby belongs to the heavy construction family of wah pedals. Its high built makes it a reliable and dependable companion. This new version has easy access to battery doors unlike the previous one where one has to use a screw opener just to get to the battery. Good vintage wah sound just like the original. It is perfect for bass and harmonics. The only limitation is that adjustments are only a few and one adjustment is not very different from the other ones. They belong to a similar genre, and no real variation is available. That does not negate the brilliance that overflows from this masterpiece. It is the go-to pedal if you want to revisit the classics. The Vox V845 Classic is based on the original VOX pedal which was first introduced in the 1960’s. The good thing about this version of the pedal is it comes at a reasonable price and also brings along with it the legacy of the original. It has a rare sonic capacity and range which is limited to only Vox products. The sound quality in this one is fantastic. Being a classic brings along with it strength, reliability and durability. It encourages experiments and individual talent with its versatility. This pedal more than being a new beacon of hope for musicians instead comes as a reminder of the glorious classic past and reminds them to always return to their roots if they are looking for inspiration. Sentiments of an entire generation of musicians and artists are attached to this pedal, which makes it even more unique. 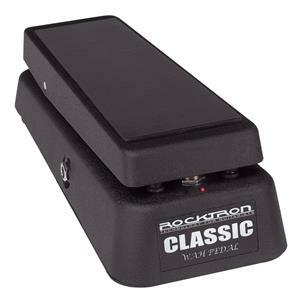 The Rocktron Classic as the name suggests is made specifically to be used in the rock genre. The structure of the pedal as well shows that it is done for some hard-core rock stuff. It has an easy battery access department which is a real advantage during live performances. This pedal is oriented for band performances but gives good results even for solo and studio performances. It sounds best when placed the beginning of a single chain. Its sound quality is magnificent, and no one can question reliability, strength and durability. This pedal is a must have in any rock fanatic’s collection. The rock genre fans can live the dream of playing the rock classics with the help of this pedal and can revisit the era that they so dearly cherish. So, as you can see above Wah-wah pedals come with a multitude of options. One can easily choose a favourite depending on what sort of music they are comfortable playing. The best part is that the choice is only between the better and the best and no matter what you choose it can never go wrong with these ten featured pedals. They are all developed by world-class brands who have dedicated a lifetime to give service to the artists and musicians of the world. Every small nuance of each of the pedals mentioned above has been made keeping in mind the public demand for that particular period. The rock lovers can find their muse in the few rock-oriented pedals. The ones looking to escape reality and delve into the vintage past with the help of music will also not be disappointed. We have the all-rounders and versatile pedals that blend from one genre to another, effortlessly, for the ones who are still confused about their choice. The only criteria for the happiness and satisfaction these pedals will bring you are that you have to be a music lover.